Apple has released a small delta update for the iPhone 5C and iPhone 5S which brings the iOS version to 7.0.5. Weighing in at only 35.4MB and coming only two months after iOS 7.0.4, don’t expect too much to have changed. Apple states that this delta updated “corrects network provisioning for some iPhone 5S and iPhone 5C models sold in China“. The update can be triggered by visiting Settings -> General -> Software Update, or by plugging the device into iTunes. The update states that it is only for the iPhone 5S and iPhone 5C so it’s possible that you won’t see the iOS 7.0.5 update for other devices. In addition, despite the update stating that it is to fix a network provisioning error in China, it appears that the update is filtering through to iPhone 5S and iPhone 5C users worldwide. As for the provisioning error, it is unclear exactly what Apple is trying to fix with iOS 7.0.5, but comes a few days after both devices were released on China Mobile – the world’s largest wireless carrier, giving Apple significantly more exposure to expand its customer base. 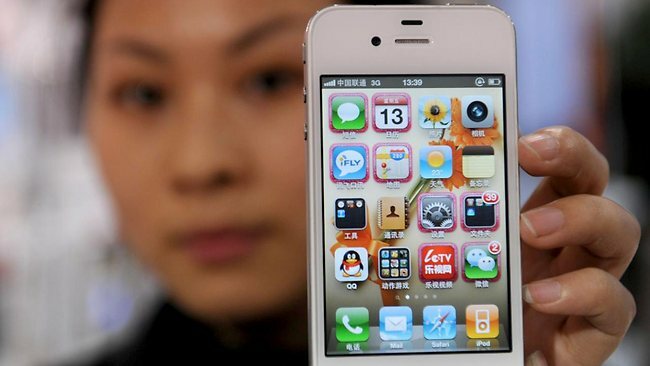 Apple hasn’t indicated whether the update is specific to a single China carrier – that being China Mobile, China Unicom, or China Telecom – but it seems the reason for the update filtering to every iPhone 5S and iPhone 5C worldwide is incase the device was ever taken to China. We are yet to hear if iOS 7.0.5 has patched the exploit used in the Evasi0n Jailbreak, so if you value your Jailbreak please do not update until we hear word from the Evad3rs team that iOS 7.0.5 does not exclusively fix the vulnerabilities. Despite Apple not specifically saying it patches security loopholes, it doesn’t mean to say they haven’t. Apple tend not to specifically mention a Jailbreak exploit has been fixed, as to not prompt further exploitation of the operating system before that patch is deployed. As soon as we hear anything regarding the Jailbreak eligibilty of iOS 7.0.5 and if it has patched the Evasi0n7 Jailbreak we’ll be sure to let you know. Of course, if you don’t Jailbreak, then head on over and hit that update button.